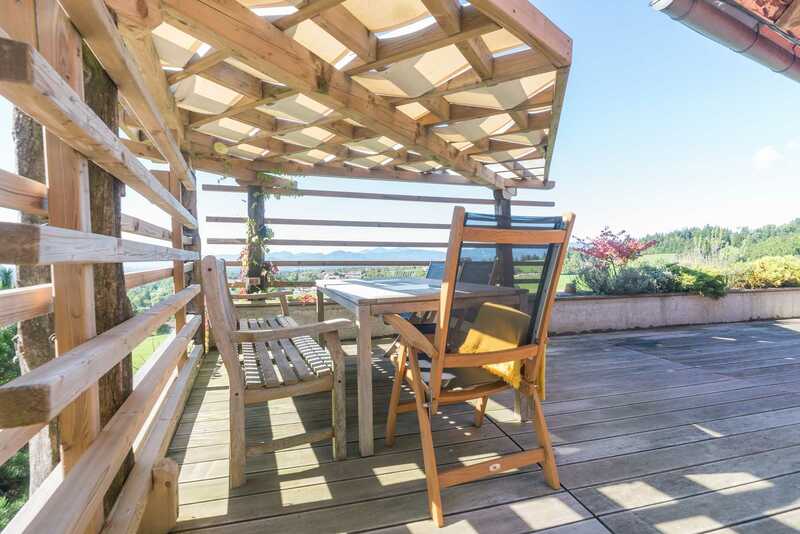 Nothing has been left to chance in either the design, furnishing or location of this stunning holiday home in Baselj, Slovenia. It really is the perfect mountain escape. 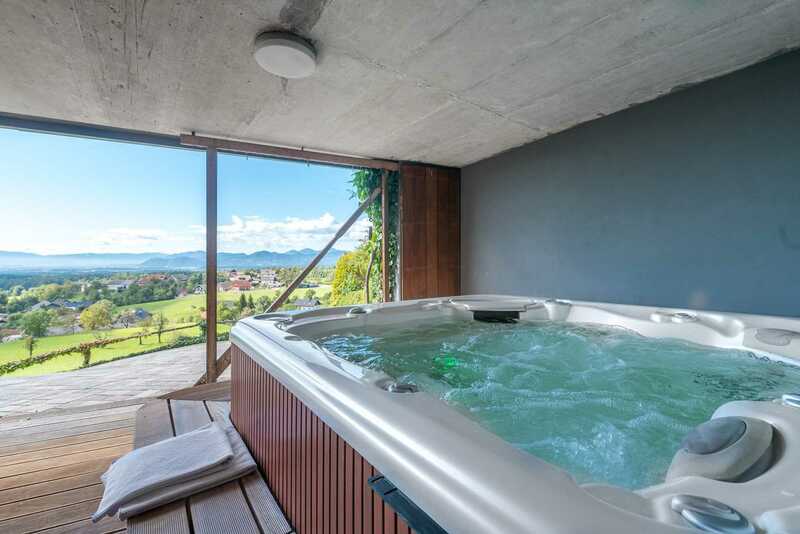 With its own sauna, fitness center and jacuzzi, you’ll have everything you need to be able to fully enjoy your stay in the Slovenian countryside. Surrounded by well-kept gardens and extensive terraces perfect for enjoying the pollution-free air, this Baselj holiday home comfortably accommodates five people over the two floors of its spacious, open-plan interior. Continuing reading to explore inside and out this superior holiday home or for more information, please contact us! 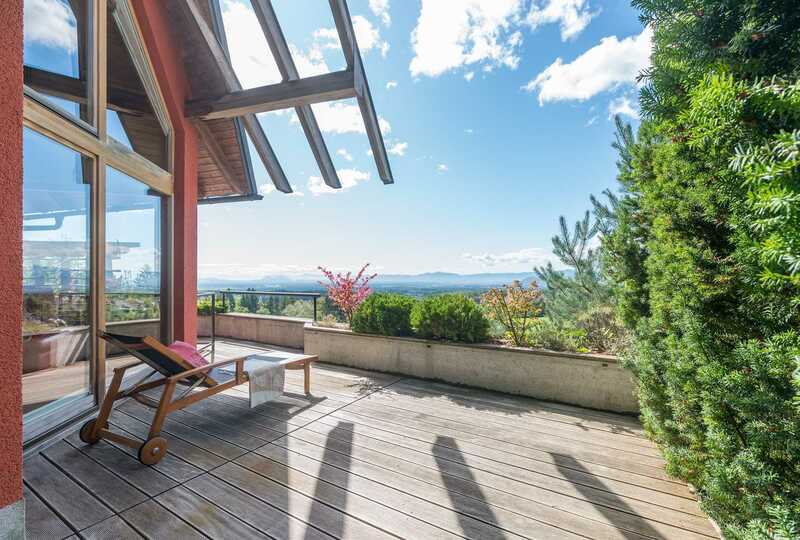 Surrounded by gardens and sun-decks with stunning views of mountains and countryside, the Baselj holiday home’s tranquil and very private location ensures you’ll have a restful and relaxing stay there. 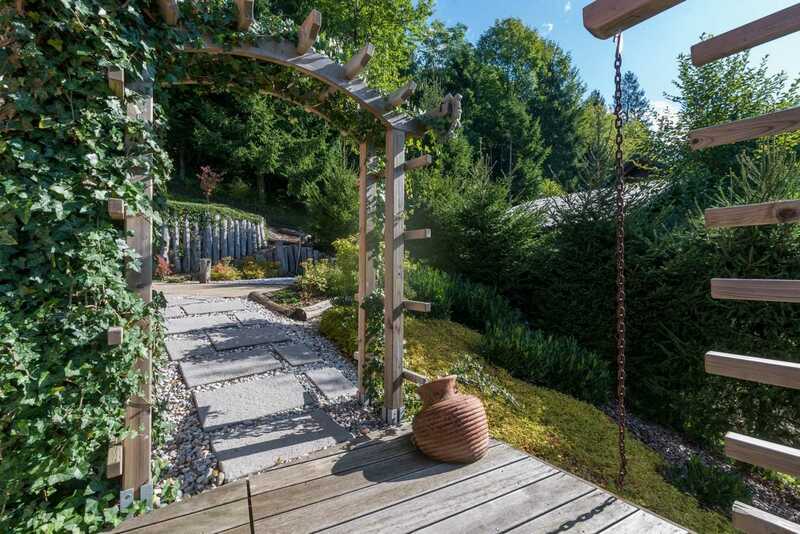 Lay back on one of the loungers to read a book or just enjoy the benefits of the ultra-fresh air. There’s also a special outdoor dining area if you like to take dinner al fresco under the stars. 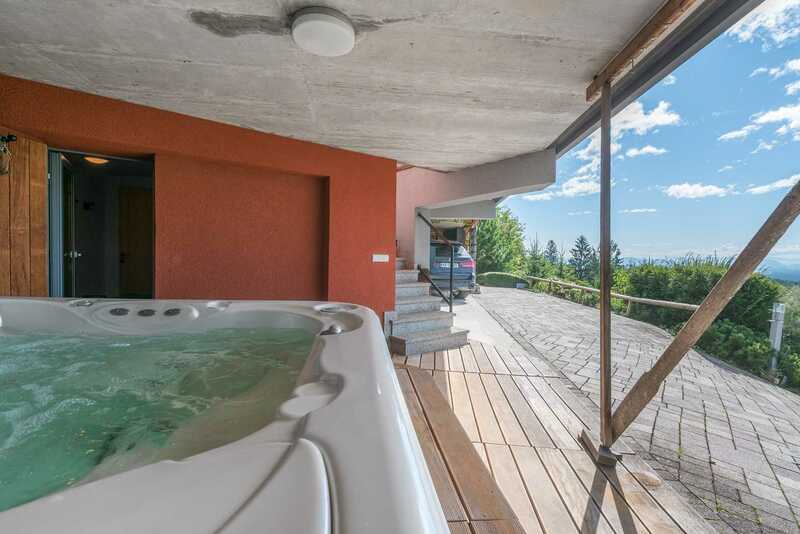 The holiday home’s car-port provides safe, off-road parking for your vehicle, but it’s bound to be the outdoor Jacuzzi which catches your interest more. After a day exploring, climbing or skiing, where else would you want to be to watch the sunset while sipping a glass of wine or champagne? 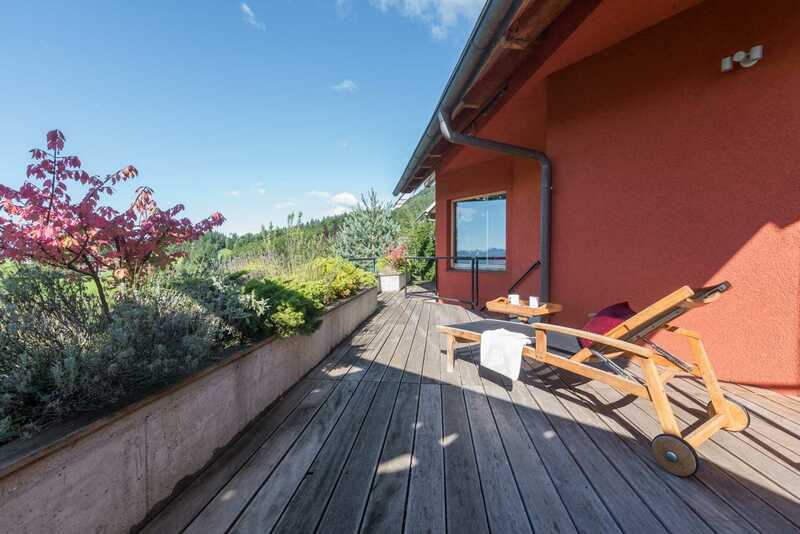 The ground floor of the Baselj holiday home is where you’ll find your own personal wellness center. If you like to stay fit during your holiday, work out on the gym equipment then indulge in a Finnish sauna. 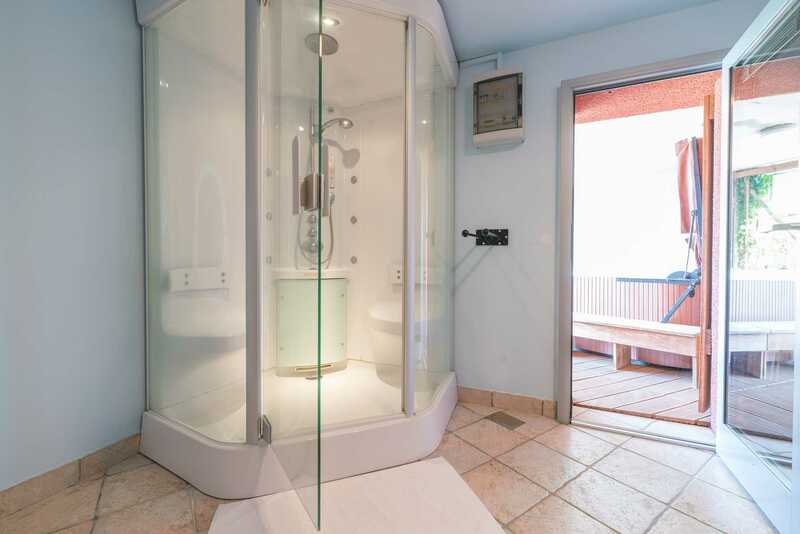 There’s also convenient access to the jacuzzi from here too if you prefer a refreshing soak after exercising. 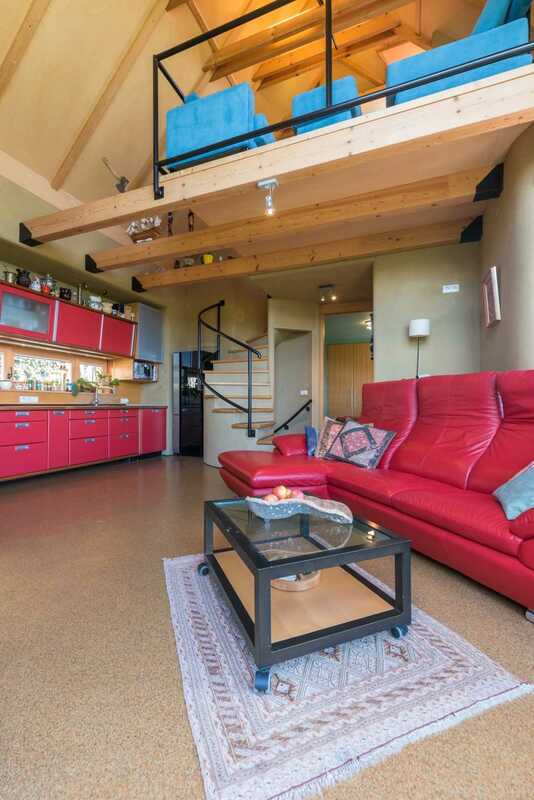 If you’re tempted by the Baselj holiday home and would like to know more, contact us here. The sumptuous, open plan living area is stylishly decorated to a very high standard. 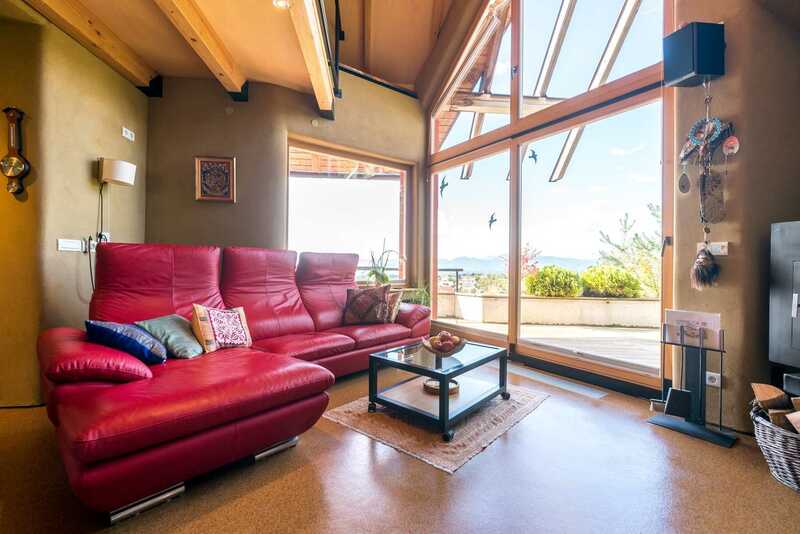 You’ll really enjoy reclining on the leather sofa and taking in the scenery through the panoramic patio doors. If you’re planning a winter time visit, you’ll love the log burner and the special atmosphere it creates on those chilly evenings when you return from the Slovenian ski slopes. If you’re there for a summer visit, you’ll love the fact the whole house has air-conditioning. There’s also an excellent WiFi connection so you can stay in touch with the world if you want to. 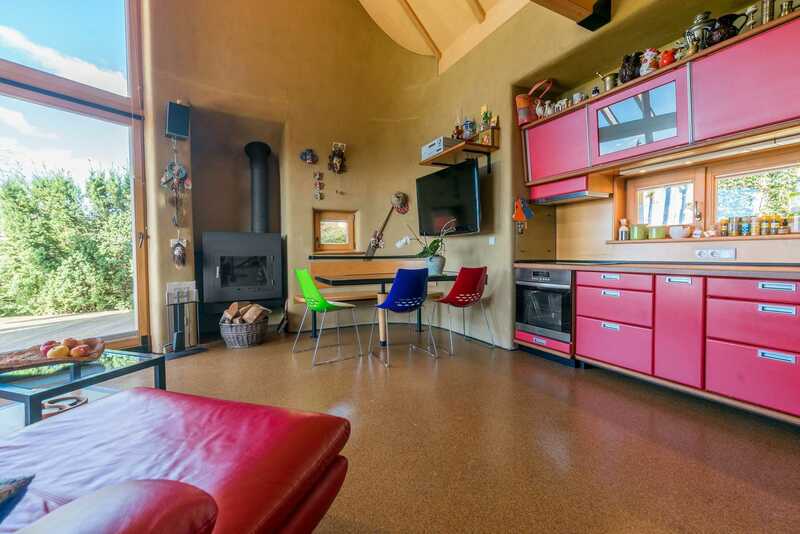 Bright and modern, the kitchen in the Baselj holiday home has all the equipment you’ll need to prepare fantastic meals for you, your family or your friends. It’s open-plan and part of the downstairs living area, so even if it’s your turn to cook, you won’t feel left out of anything. The dining area seats five and there’s a flat screen TV too, so if you want to watch your favorite series or a good film you can do. 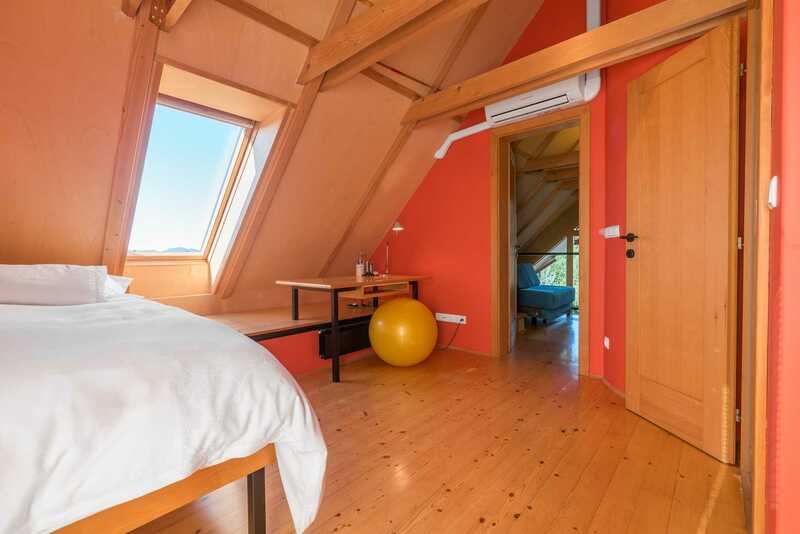 The master bedroom of the Baselj holiday home is located on the first floor. Beautifully decorated in neutral tones, you’ll have a great night’s sleep in the king-size bed. 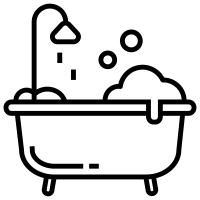 Complete with a pristine en-suite shower room and a separate large bath in an adjoining room, it has all the home from home comforts you’ll be looking for. Plus the double fitted wardrobes allow ample space for your clothes and storing your luggage. 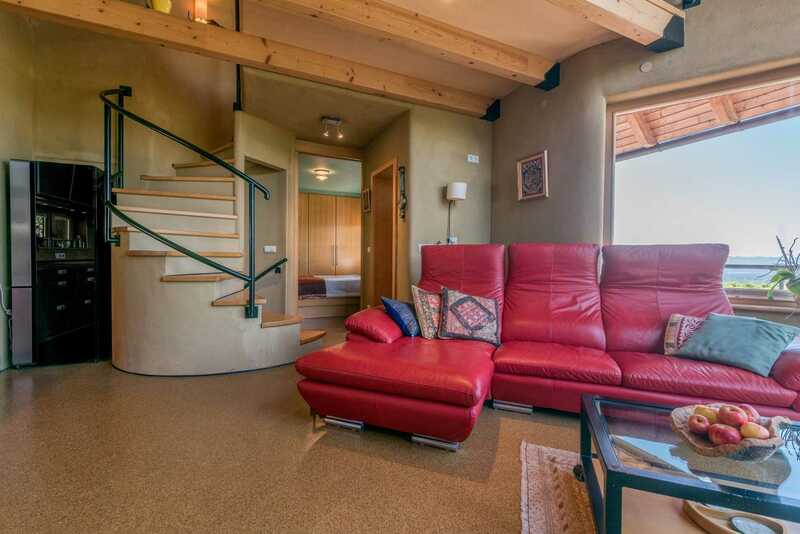 The second floor opens up into a spacious, pine-floored gallery/lounge area. 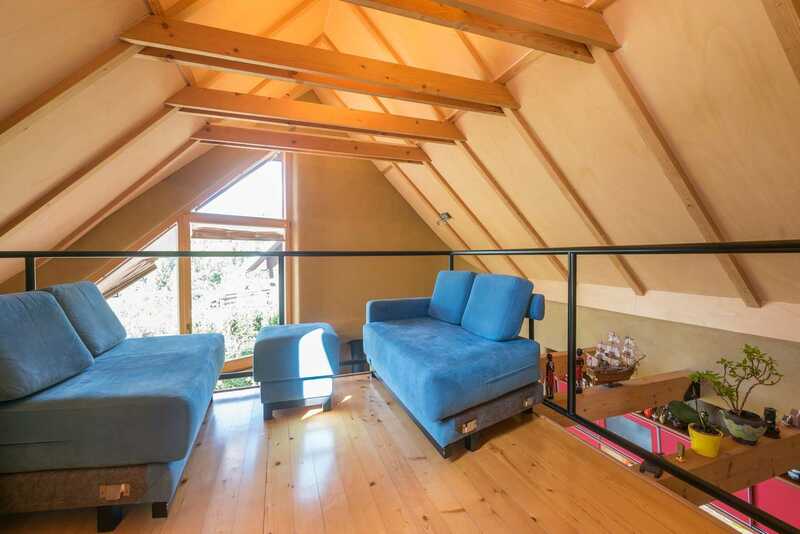 Under the beamed ceiling there are two sofas which can be converted into beds if you need the extra sleeping space. 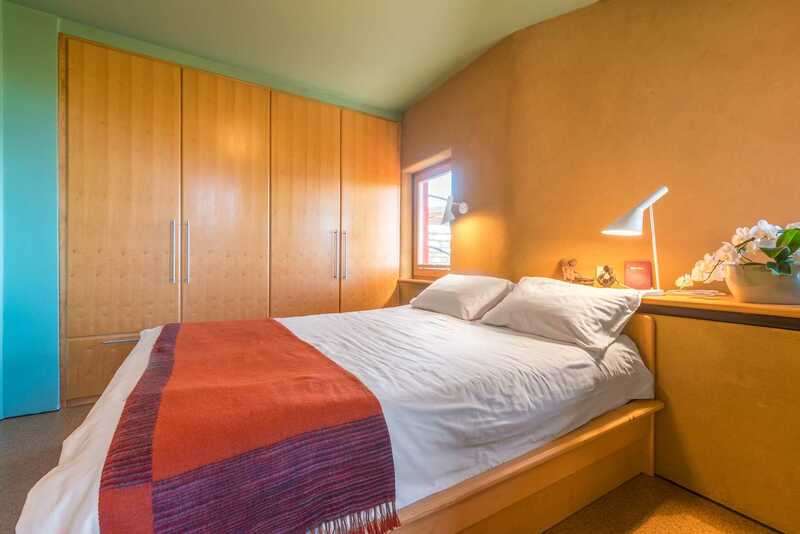 This lovely, bright room or studio if you prefer, is furnished with a single bed, writing table and has its own en-suite bathroom so can be used completely independently to the rest of the house. 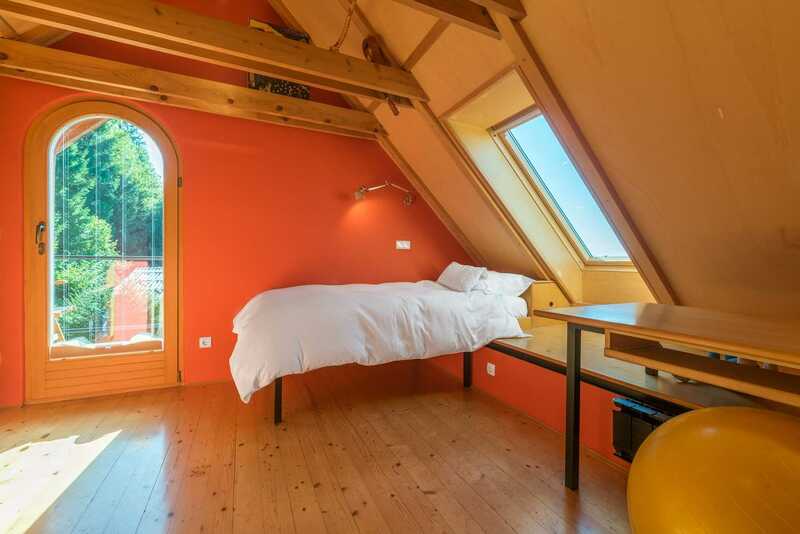 The room is also accessible externally via stairs which lead up to its own private balcony. Baselj is a great place to take a holiday at any time of year. 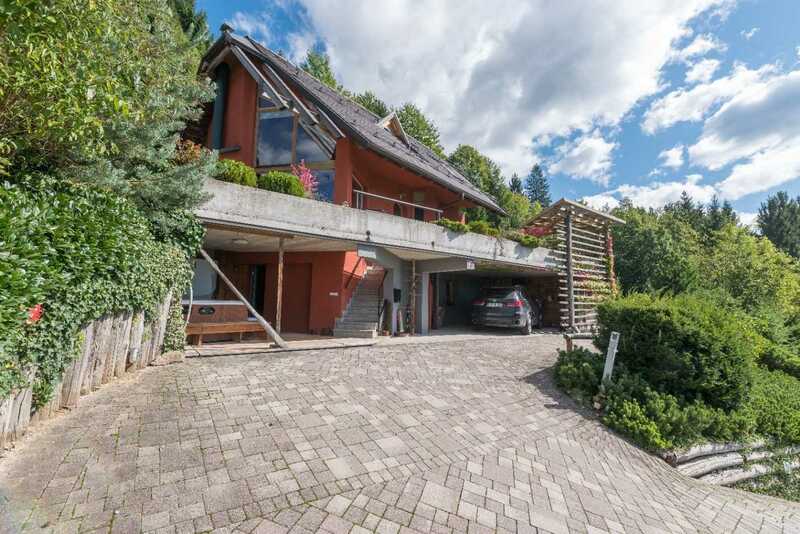 The Baselj holiday-home is in a great location too. Just 35 kms away from Ljubljana, Slovenia’s capital city and 30 kms from picturesque Bled, it’s ideal if you’re planning on sightseeing during your stay. 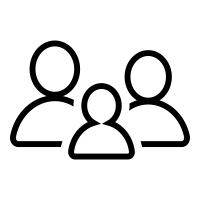 Plus, when you’ve had enough rest and relaxation, there’s some amazing things to do in the surrounding area which will suit you and all the family. If you’re on a winter visit and want to participate in some winter sports, the Krvavec Ski Resort, one of the best in Slovenia, is only 15 kms from the holiday home or you might enjoy ice skating on Lake Črnava which is right nearby and only 3 kms from the doorstep. In the Spring, Summer or Autumn months, you’ll be able to explore the beautiful Lake Bled and Lake Bohinj or go swimming in Lake Črnava. If you like to climb or hike, Baselj is right under Mount Storžič. At just over two thousand metres, it’s not too difficult a climb as long as you have the correct equipment with you. 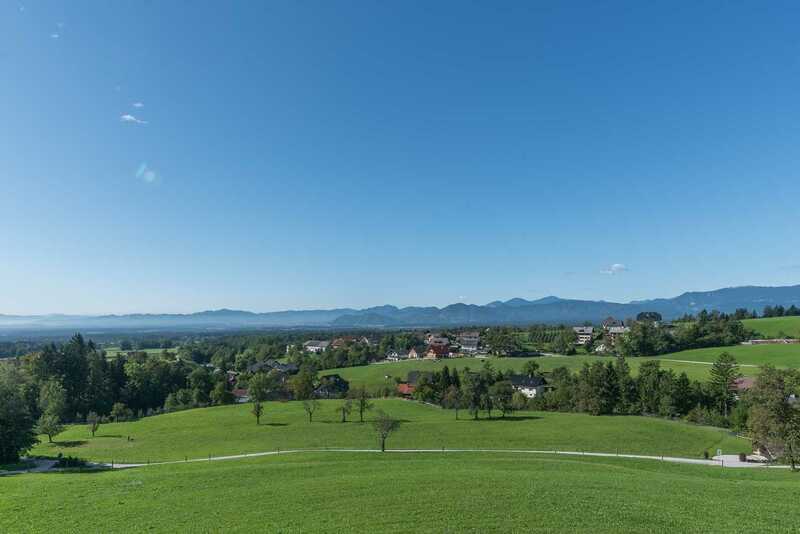 The Baselj countryside is ideal for taking long walks, running, cycling or horse riding. If you want to get in a round of golf, you can do that too here – Golf. While the Baselj holiday-home has a fully-fitted kitchen and you’ll be able to purchase organically grown food from the local farmers, if you do want to eat out, then we recommend trying the Restaurant Kristof, Gostilna pod Krvavcem or fish Restauran Tabor for quality food prepared by profession chefs. If you’d love to spend your holiday nights here or know some more, please contact us! 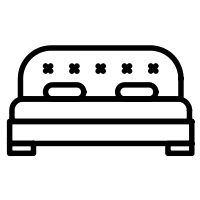 For an additional person please add 25 euros per night. Children under seven stay free of charge. 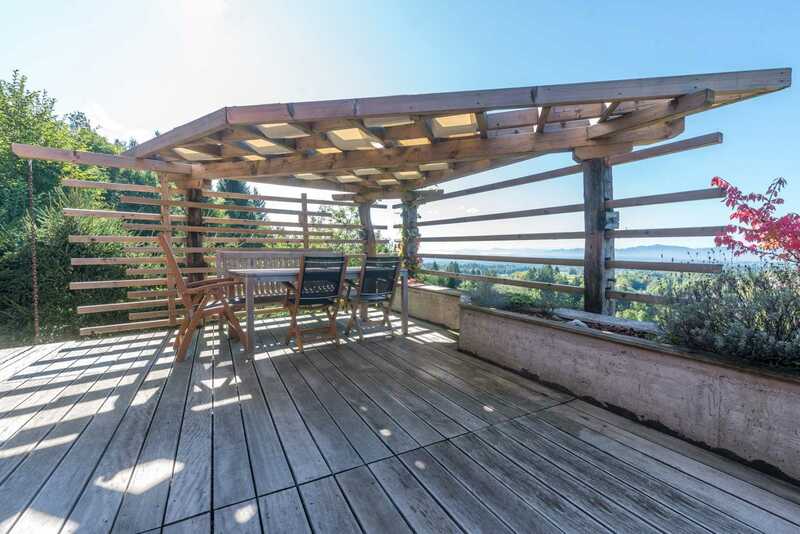 Contact Us Now to Take Advantage of This Spacious Bašelj Holiday Home! Our Bašelj holiday home is available for short term rentals and offers the perfect solution for families and groups of friends. 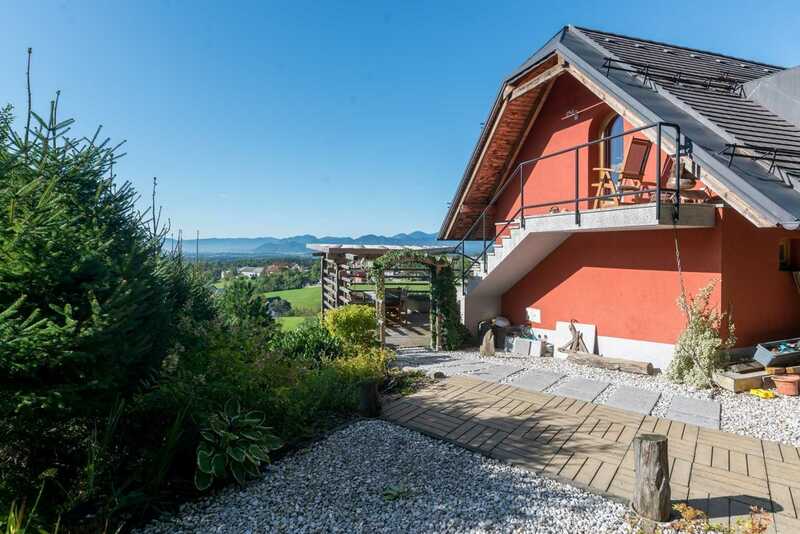 You’ll be hard pushed to find another detached and completely private holiday home like this in the Lake Bled area – the best of both worlds with its traditional and quaint Slovenian village location. Everything was fabulous! What an amazing view! 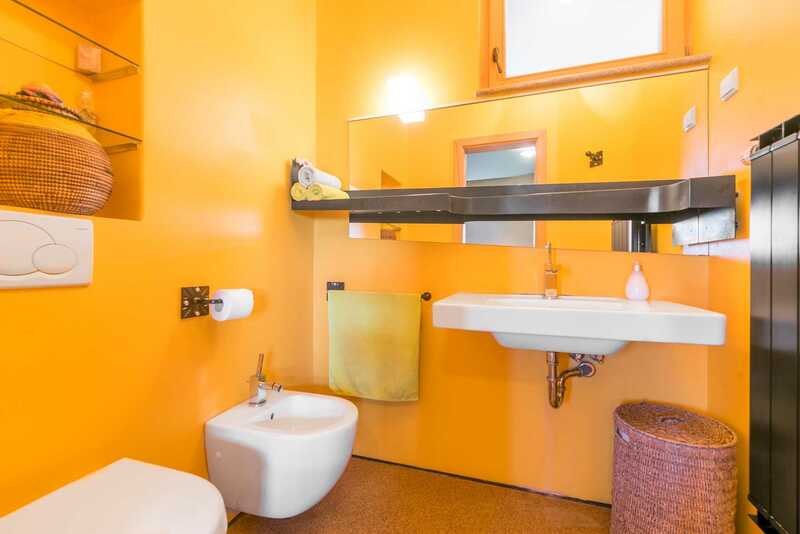 The house has everything you need and it’s furnished with excellent quality accessories. 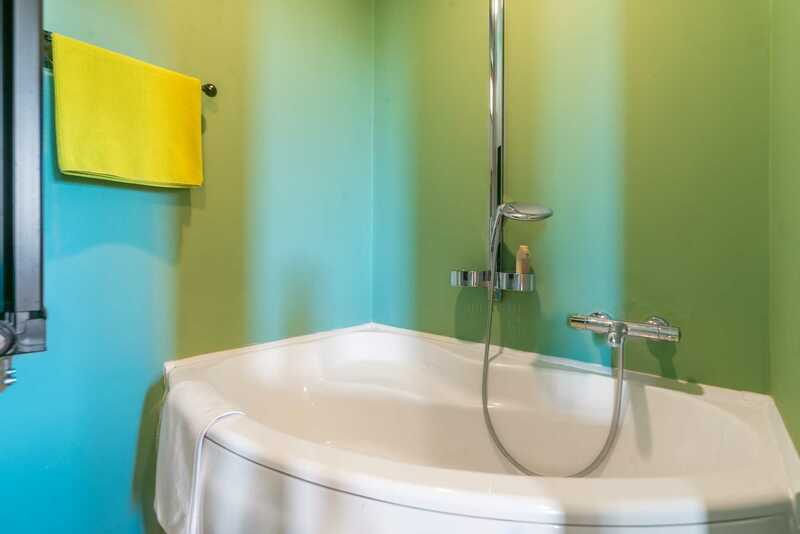 The kitchen is well equipped, the bathrooms are new and there are quality linens in bedrooms. It was impeccably clean. The space is very well organized to make it a home, suitable for a real holiday. I couldn’t find any fault! The windows of the rooms have curtains that let the light pass through so if you have problems in the morning with the light I suggest you bring a mask for the eyes. The house is like in the pictures, nice and comfortable, with a great view. The facilities are quality and the jacuzzi is very, very nice after a day of hiking. The bedding is perfect for 3 people, we didn’t need any extra beds. All that was missing was a coffee maker but otherwise, everything was perfect! 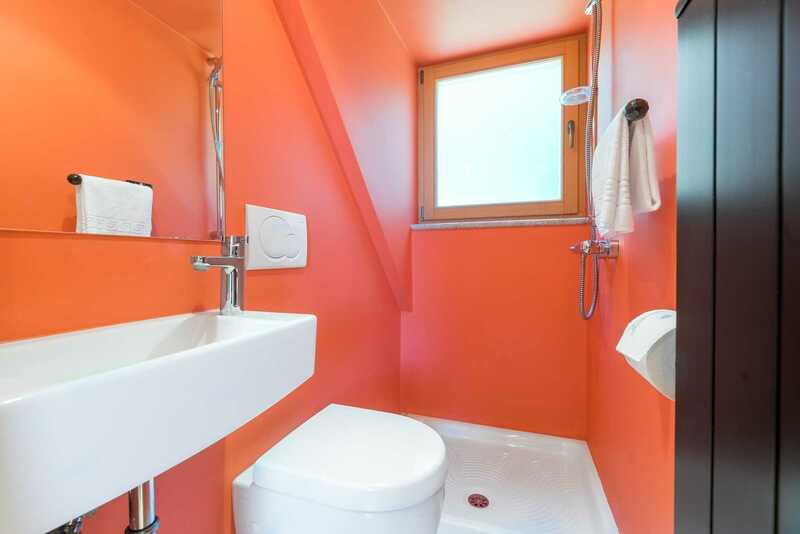 Check out this fine FLA apartment: Slovenia Holiday Home Baselj – Apartments for Rent in Ljubljana.